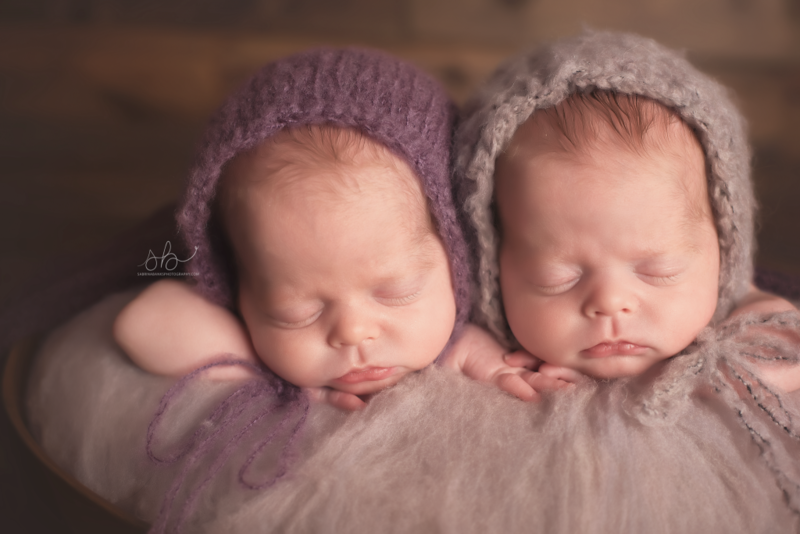 I recently did a model call for twin newborns and these sweet little ladies arrived at my doorstep with their momma and grandma! Lydia and Adeline were born at 33 weeks (born on Valentine’s Day!) and were both around 6 lbs when they came to see me. This was also the first time that I ever used an assistant and I must say I loved it! Allowed me to have the extra hands I need and also gave mom and grandma a chance to take a break and relax on the couch! It was just about Easter time, so of course I had to put them in these sweet bunny hats! Lydia is on the left in the brown and Adeline is in white. They made the cutest little bunny rabbits! I am just in love with this image. It reminds me that they were all curled up in their mommas womb, all nice and snuggly. Did I mention that these girls shared a placenta? All pretty in purple. During this model call we worked primarily on the twin poses as opposed to shots of them by themselves (although we did do a few). This was one of my favorites. It was actually one of the more difficult poses to get them in to but it was so so worth the end result! Totally tripped out on these two while I was editing these! During their session it took me almost the full three hours to learn who was who. They are identical twins. These images show their difference and their similarities so well! Lydia on top has a more narrow head. Adeline on the bottom has more hair and a rounder head! How did I do momma? In these images they have the same number of wrinkles, how crazy is that? 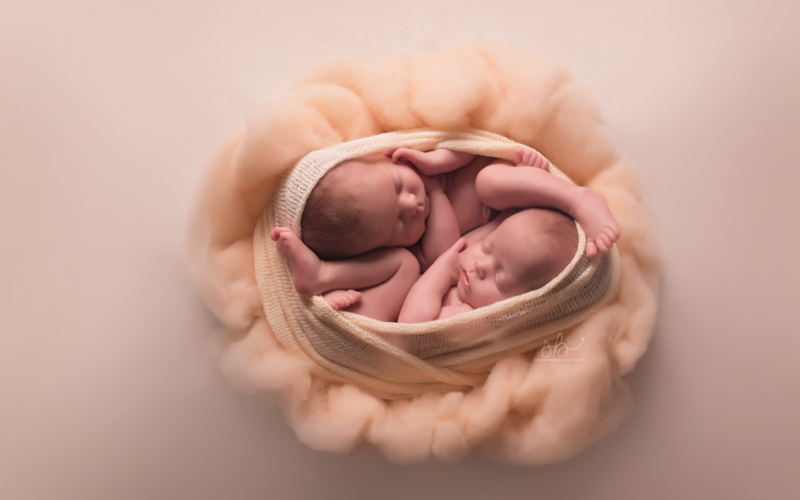 To view more of my work visit my Denver, CO Newborn Photographer website. These are so beautiful! I actually think it would be a great ad for your business to just film someone’s reactions as they look through this blog post. I was oohing and aahing the whole time! So cute! Your work is so creamy and dreamy!! I LOVED that you captures each girl separately but in the same pose, I know mom will love that! Your work in AH-MAZING!! Perfection! That’s the only word that comes to mind when I see these beautiful photographs. I love them. Amazing job! oh my gawwwww these are aaaaamazing!!! Wow I’m so impressed, I love the colors! Beautiful work! That first image looks like it needs to be on the cover of a book. Perfectly balanced! Just perfect! 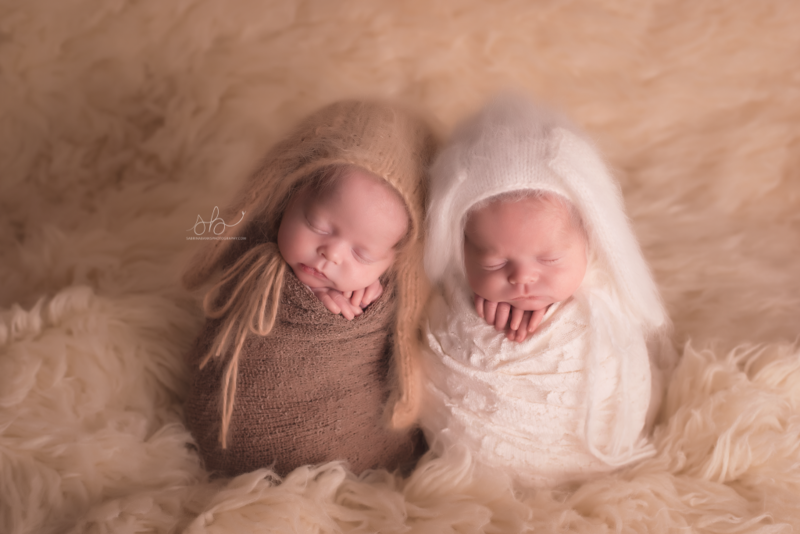 I love that you used the same poses for each girl in their individual newborn pictures but I adore the photos of them together!! 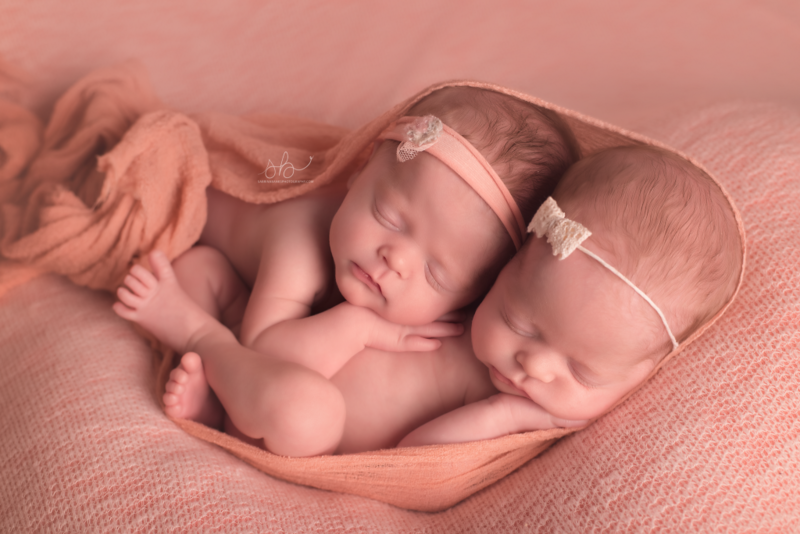 How sweet are these little twins? !